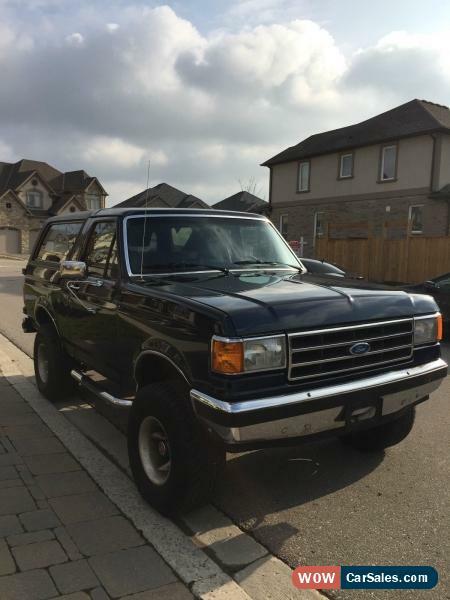 You are looking at 1990 Ford Bronco that we just purchased from an insurance company in Seattle with dent in front bumper, rear bumper is slightly bent and the rear right 1/4 had dent from minor accident damage. 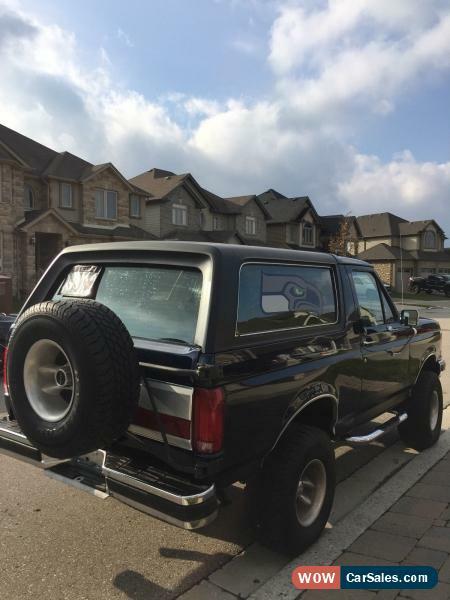 This Bronco Runs and Drives and some garage work to fix rear bumper.. PLEASE LOOK THROUGH ALL OF THE PHOTOS SO YOU CAN SEE HOW LITTLE WORK THIS CAR NEEDS. On good note; There is no visible damage to the motor or the drive train and this Bronco drives great. The interior is in excellent condition given the year Only drivers seat does not match looks like leather seat from mustang. This vehicle comes with Clear Ontario Title, but history shows accident . 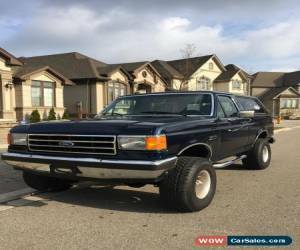 In nutshell what you have here is very good example of 1990 Bronco that will make great Truck! TAKE ADVANTAGE OF OUR LOW PRICE AND BUY .